Since our founding in 1987, Stamina Products Inc. has focused on creating innovative, affordable equipment for our customers. And since our inception, we’ve flooded the fitness and leisure markets with quality products. Plus, we’ve recently entered the boutique studio market with the Juvo Board. From mass merchants, sporting goods dealers, catalogs, and internet retailers to TV shopping channels, we’ve developed a broad distribution base. You’ll find our products at Walmart, on Amazon, and QVC, just to name a few. In fact, Stamina was one of the first fitness equipment manufacturers to develop infomercial products with the introduction of the American Gladiator® Home Gym. From there, we also introduced the AeroPilates® Performer, InStride® Walker, the Body Dome®, the GYROTONIC® Transformer, and more. You’ve also seen our products under brands such as Body by Jake®, Suzanne Somers, Tony Little, Cosmopolitan®, Brenda DyGraf, Denise Austin, and BodyShaping®. More recently, we’ve brought products to the market with Gold’s Gym®, Joyus®, Danskin®, and Lotus®. While we take pride in all of our products, one of our greatest achievements has been bringing affordable Pilates reformers to the market for home use. 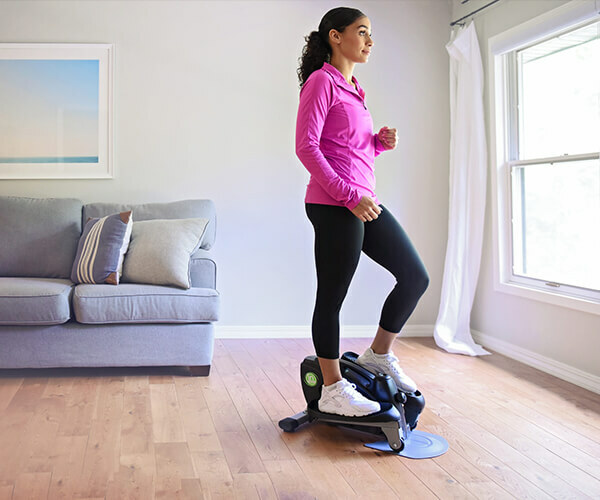 Our AeroPilates reformers build endurance, increase flexibility, and strengthen and sculpt your entire body – all in the privacy and convenience of your own home. This is why our AeroPilates product line continues to grow in popularity. Ultimately, our mission is clear: Outperform the competition through successful partnerships while maintaining effective communication, consistency, superior service, and honest, active marketing programs. Stamina Products Inc. will continue to pursue excellence. Whether it’s the design of our equipment or our exceptional customer service, we are truly dedicated to building a healthier, stronger you.